This pair of tongs has a very clear maker’s mark of LB and was hallmarked in Edinburgh. 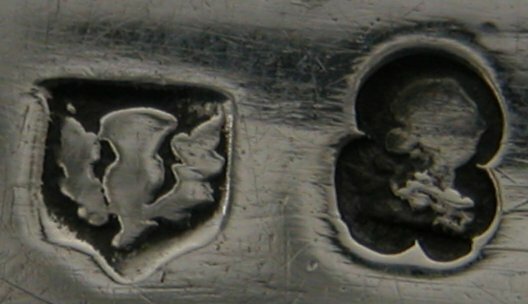 They are very typically Scottish, with the long plain style concave arms and shell bowls. They are probably dated c1810. 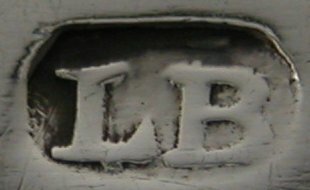 The mark LB has been attributed to Lindsay Beech as there was no other Scottish goldsmith at that time with those initials who was definitely submitting silver to Edinburgh for assay. 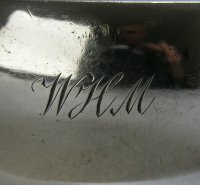 Beech was a submitting work for assay first in Edinburgh then possibly later in Glasgow between at least 1803 to the late 1820s. He was a freeman in Edinburgh but was back and forth working in Edinburgh and Glasgow over the years. He married a Glasgow woman, had a son there and was essentially their trade officer for a period during the late 1820s. (many thanks to professor Rodney Reynolds Dietert for this information).